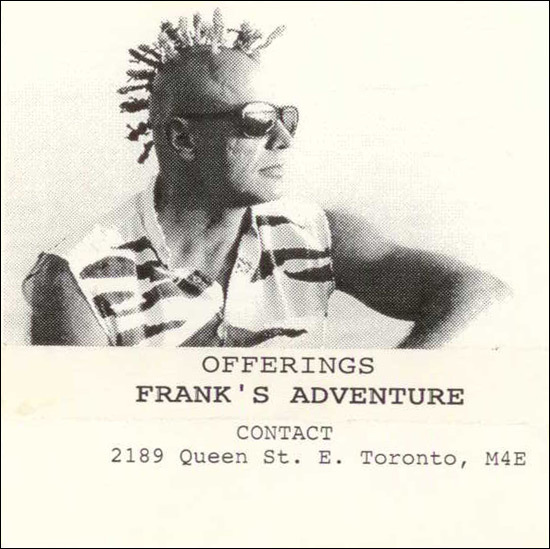 Frank's Adventure were a great Toronto live band who were around during the early 90's let by Frank Prather. 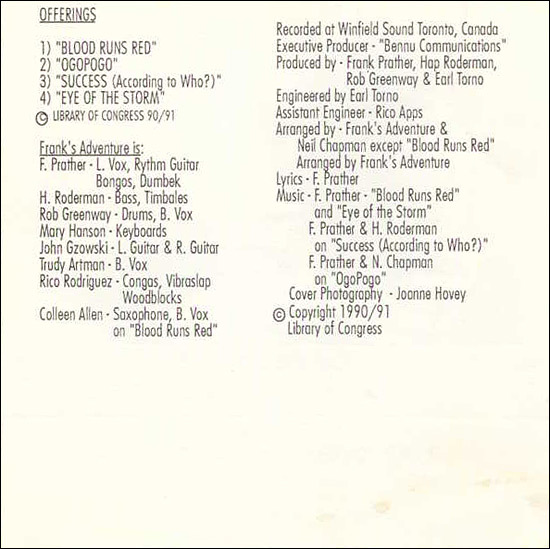 This is the only album of theirs which I'm aware of. I bought it at a show at Clinton's Tavern.